When it comes to starting a new business you have a lot on your plate. From hiring new employees to remembering to pay your bills, to not letting that important meeting slip, and more! We understand it can be pretty overwhelming at times. Plus, the last thing you need to do is let important tax deadlines fall through the cracks. 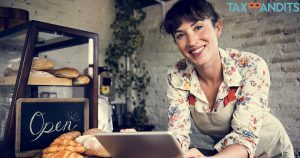 If you do then you will have hefty penalties and fees to face, which could break your small business before it even takes off! Make sure that you remember to file these 3 major payroll forms before their deadlines. Every year as an employer you are responsible for filing W-2 forms for each of your employees and providing them with copies so they can file their personal income tax returns. Form W-2 is important because it reports the taxes withheld from employee wages to the government.Along with sending a copy to each of your employees, you are required to send your W-2 form to the Social Security Administration (SSA) and to keep copies on hand for at least four years in the event of an audit. When filing Form W-2 by the January 31st deadline, which is when it’s due to your employees and the SSA, remember that you also need to file Form W-3. Form W-3 is the transmittal form that summarizes all of your W-2 Forms and is sent to the SSA with your W-2. Your employees will not receive a W-3. W-2 Forms are for your traditional employees. Independent contractors are treated differently with Form 1099. It’s used to report services performed for a business by people not treated by its employees. You only have to provide an independent contractor with Form 1099-MISC is if you paid them $600 or more for their services during the year. If they earn a total of $600 from multiple companies they do not need to receive a Form 1099-MISC but will still need to report income tax. Form 941 is the Employer’s Quarterly Federal Tax Return. That’s right, we said quarterly, meaning you have to file this form four times a year. The deadlines are January 31, April 30, July 31, and October 31. This form is important because as an employer you are responsible for withholding federal income, social security, and Medicare tax from your employee’s paychecks. Form 941 is used to make sure you’re doing so. It’s also used to pay the amount of Medicare and social security tax you owe as an employer to the IRS. Luckily with the help of TaxBandits filing these forms online is super quick and easy. All you have to do is create your free account and follow the step-by-step guide to instantly complete your forms. Then you can safely and securely transmit them directly to the IRS. Plus, all of your information is saved in your account for next time so you don’t have to waste time re-entering it. Best of all, the dedicated, US-based support team is here to help. If you need any assistance give us a call Monday – Friday from 9 AM to 6 PM EST at 704.684.4751. We also offer live chat and 24/7 email support at support@TaxBandits.com.